Throughout the month, Troopers from the Mayfield Kentucky State Police Post conducted traffic safety checkpoints in the Post 1 District. KSP utilizes traffic safety checkpoints to promote safety for motorists and to provide a deterrent for those who violate laws contained in the Kentucky Revised Statutes. The intent of a traffic safety checkpoint is to provide a highly visible, public safety service focusing on vehicular equipment deficiencies, confirming appropriate registration and insurance of vehicles, and the valid licensing of drivers. Violations of law or other public safety issues that arise shall be addressed. Through June 5, 2018, preliminary results show there have been twelve people killed on the roadways in the Post 1 District. should give a description of the vehicle, location, direction of travel, and license number if possible. 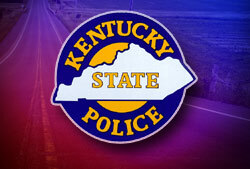 Citizens may also report tips anonymously through the KSP app. The app is available for iPhone, iPad and Android applications and can be easily downloaded free of charge through Apple and Google Play stores.